All Twain Harte homes currently listed for sale in Twain Harte as of 04/19/2019 are shown below. You can change the search criteria at any time by pressing the 'Change Search' button below. If you have any questions or you would like more information about any Twain Harte homes for sale or other Twain Harte real estate, please contact us and one of our knowledgeable Twain Harte REALTORS® would be pleased to assist you. 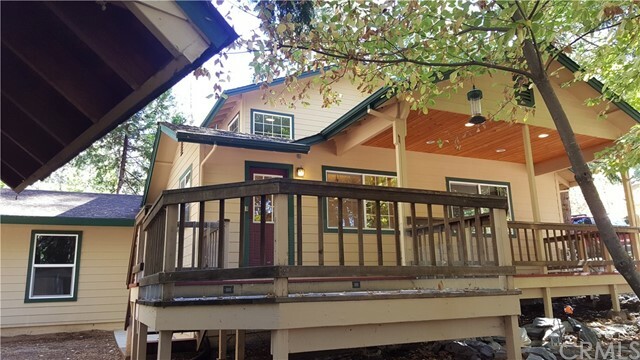 "This adorable home located in Sugar Pine, a pocket between Twain Harte and Mi Wuk, can be enjoyed as both a permanent residence or a vacation. The owners have made lots of improvements to this home and definitely shows. In the kitchen there is granite counter tops, crown molding through out the kitchen and living room. The newer double windows are outlined with custom made trim. The living room gives you both a wood burning stove and propane forced air heat. The second story host the master bedroom with an elegant bathroom looking to the outside. There is a jetted max tub, a oversized custom walk in shower hand laid tiles, and to touch it all off, a propane fireplace to stay cozy warm. The exterior has Hardi Board siding with a new coat of paint and cobble stone veneer trim. The front covered deck offers knotty pine ceilings with recessed lighting and, privacy as you sit behind the beautiful tree canopy of dogwoods and cedars. There is a one car finished garage. This location is really convenient with ease of access to highway and and short distances to to all the amazing outdoor recreation(Pinecrest and Dodge Ridge Ski Resort). With a paid membership you can enjoy the neighborhood lake Pine Lake(Not the same as Pinecrest Lake). Pride ownership is definitely evident in this home."